Welcome to part 6 in our journey through the Chakras! 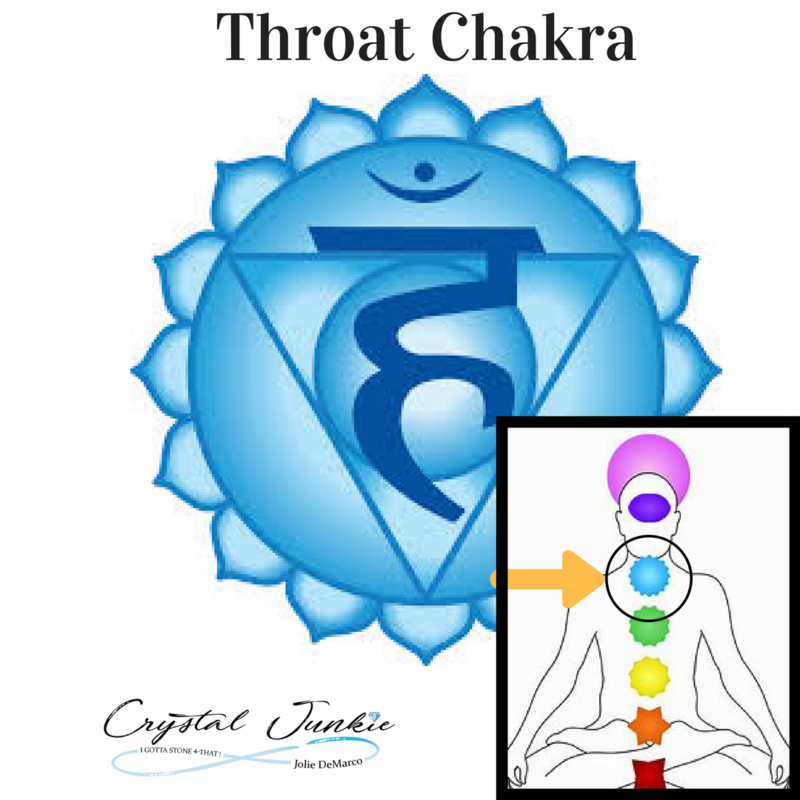 As you see the attached picture the Throat Chakra is located in the throat and neck region. This discussion includes Petal meanings, how the throat chakra relates to communication and expression. You will also know which crystals are needed for healing and recommended aromatherapies. Its symbolized by a lotus with sixteen petals.The petal count for each chakra is related to certain specific groupings of vertebrae and certain specific groupings of nerve pairs. specifics shown in the chart below. Mostly the throat chakra is the color blue or sometimes turquois. The colors of the chakra change and can vary depending on you and if you are balanced or not. In Buddhist philosophy, blue is the color of pure mind - the mind that is uncluttered by thought. In stillness, you can find pure mind. Self expression and creativity are an important part of the throat chakra. This is where your emotions are transformed into sound when we speak. This is where vibrations come into play on a metaphysical level. As we know our tone or our voice can play a huge role in how people perceive our emotions. For instance, if you have a clear, calm speech and are a good listener then you are harmonious with your throat chakra. If your throat chakra is not flowing properly or blocked you may have a lack of clarity or expression. You may appear unreliable due to your lack of expression. A clear throat chakra allows us to be a good listeners, clear communicators, and live creative lives. It's always a good idea to get your chakras aligned, especially if you have any of the disharmonious signs. Check your local metaphysical store for their preferred Reiki Master. Remember, everyone has energy, and that energy effects other people. Stay positive and surround yourself with positive energy. Thank you for following along on our Chakra journey. Be sure to read the next blog, Everything you need to know about the seven chakras Part 7 - the Third Eye Chakra.